Some places offer an opportunity for being totally in the moment: that places people usually tend to skip – places of transience – in-between zones or non-places like airports, supermarkets, ferry ports, etc. This is where “rule of similarity” functions: being aware of one’s own momentariness, there is no way out of the moment. 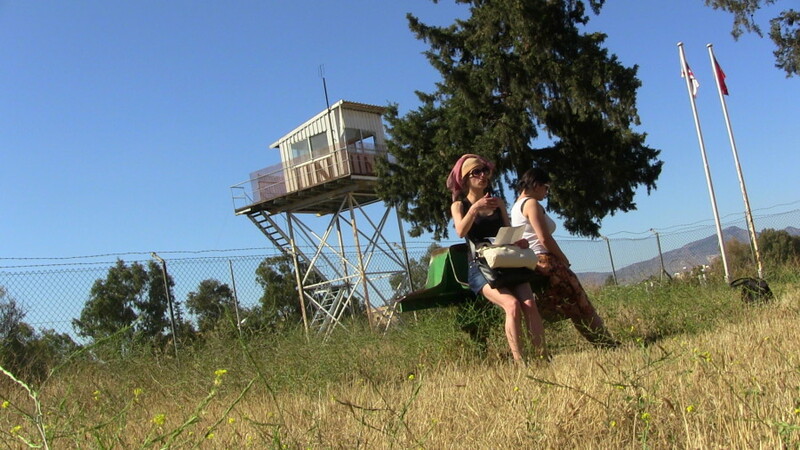 Being in a no man’s land like the UN Buffer Zone in Nicosia/Cyprus, being under surveillance like anybody else in the zone, made me get involved with the ownership issue again – exactly in the middle of the issues like borders, duality, division, and conflict in a divided city. Could we ever be aware of our own momentariness as we define ourselves on the basis of relations of ownership? As years-long conflicts rigidify our bodies and clouds our minds, is the world going to a far cry from here? Where did the disconnection start first; between two countries, two groups, two people or beyond this duality, within ourselves? Is it a never-ending cycle where conflict increases while awareness decreases? Maybe a new place could blossom in the heart of this chaos, in this buffer zone, where we reach the highest level of awareness; within an active process where our potential emerges: Active listening, conscious sleep, sleepless sleep; namely yoga nidra could be an exercise to facilitate the activation process. The park in the buffer zone where UN Watch Tower is located, was the perfect place for an “introspective” practice. The participants were staying still in front of the watch tower; sitting, eyes are closed, attention on the changing sensations of the breathing throughout the body; in a sleep-like state full of awareness. Identified with barbwires, barricades and the Green Line, this official buffer zone becomes a stage for an alternative zone here and now; a space which is out of sight for the surveillance radars and can only be defined with awareness. A trip around the buffer zone in Nicosia spontaneously turns to a yoga nidra (yogic sleep) practice with a Zimbabwean passerby. A delicate confusion is in the air: yes, rap is a struggle -but what’s yoga got to do with it? Let’s meet – for instance – at 4 p.m. at Kabataş (or Kadıköy, Beşiktaş, etc.) Ferry Port to do yoga nidra (yogic sleep). No need to rush, take your time. Take your places and just stay still following the instructions you hear out of one ear. A tour guide system consisting of microphone and headsets will help us to communicate. Giving you instructions I will hide myself behind a newspaper not to take any attention of the people around. The practice will take approximately 20 – 30 mins. The ferry leaves at 4:30 p.m.
Let’s miss the ferry on purpose, very consciously. to meet your own time.